So, last year I went to Kirk's Rock for my birthday. Then, I had eleven more months of Star Trek. Through it all, I couldn't help noticing how much cake people in the future seem to eat. Worf has a birthday where he alternately eats chocolate and yellow cake. Deanna turns into a cake. Hoshi goes on a fact-finding mission just so they can give Malcom a pineapple upside down birthday cake. And when Miles O'Brien has a birthday his evil, pah-wraith possessed wife (of course) makes him a nice birthday cake. 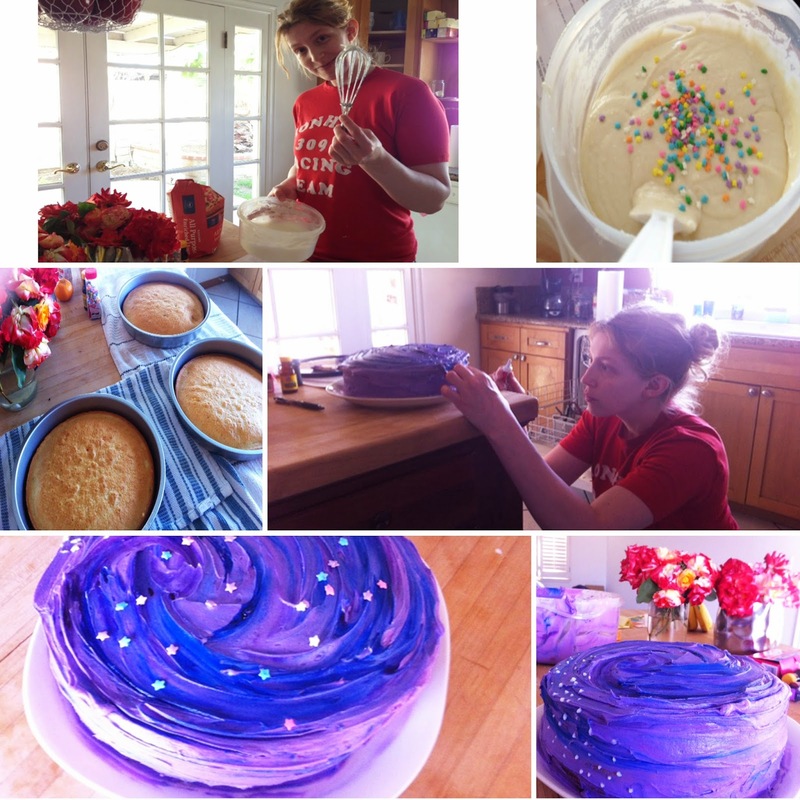 A big, swirly, purple and blue (and sometimes spotted) cake. Toward the end of it, as someone was celebrating yet another birthday, I said, "You know. We should make a purple cake for my birthday next year." We made it completely from scratch, by hand, which is obviously how an alien from the 24th century would do it. 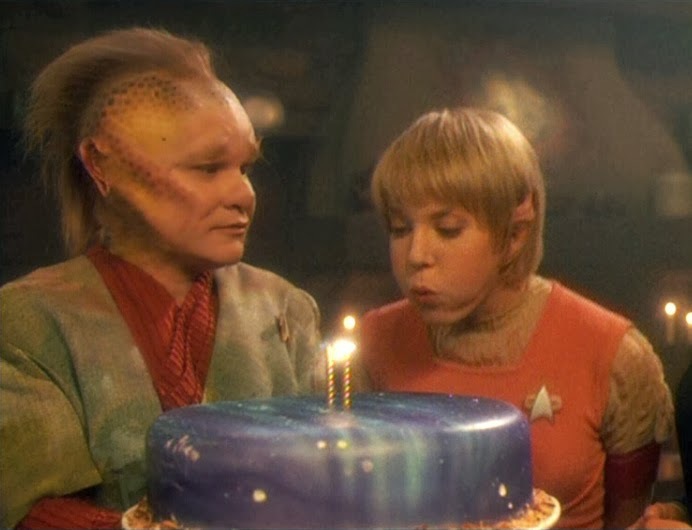 Scott and I both sort of remembered the cake being taller than it was in Voyager but I'm guessing theirs is actually just a hunk of foam covered in purple spray paint, glitter, and varnish. Ours is white cake with butter cream frosting. I tinted the buttercream purple then streaked it with blue and pink and added teensy white icing dots and a few star sprinkles. I absolutely love it. It's my favorite birthday cake ever. Beautiful cake! Happy Birthday, AshleyRose. That's fantastic! And Happy Birthday!! That's lovely! Have a great birthday AshleyRose!